Cover photo: the Neuschwanstein Castle in Baden-Württemberg. Away from the summer throngs crowding the Piazza San Marco in Venice and lounging on Barcelona’s Barceloneta beach, travelling in autumn becomes a peaceful retreat from the norm. Temperatures drop across Europe bringing russet shades to the deciduous trees, while the end of the school holidays signals the closure of tourism’s high season, and the beginning of a calmer, more relaxed period. To make the most of this crisp and colourful time of year, here are four European destinations that are not only a little off the beaten track, but that also provide the perfect cosy settings for autumn wanderings. Take a spin on Bremer Freimarkt’s ferris wheel. Photo by Faldrian. Autumn marks the beginning of many of Germany’s most popular festivities: Oktoberfest takes over Munich from mid-September, while in early October, the Festival of Lights illuminates Berlin’s famous monuments for an entire week. Bremen, Germany’s northwestern maritime city sprawled along the banks of the Weser River, equally takes part in the seasonal action, hosting the historic Bremer Freimarkt from October 13th to 29th. 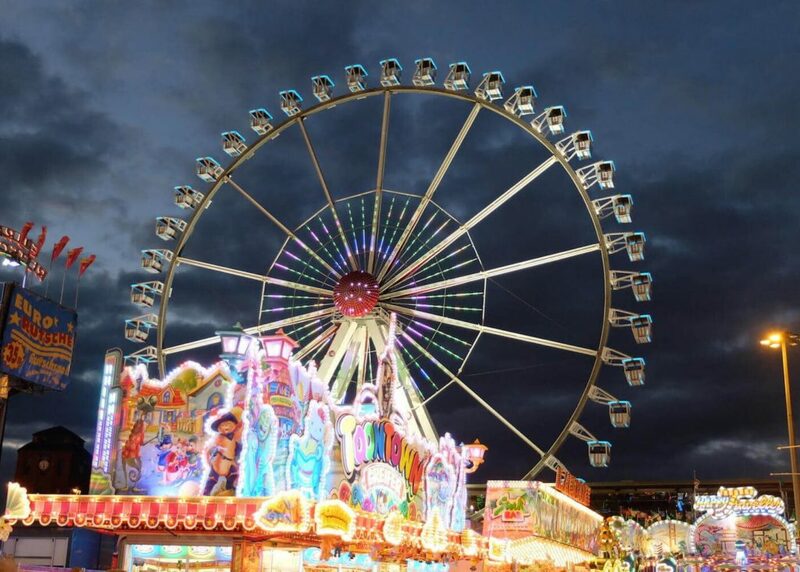 As the oldest festival in Germany and one of the largest of its kind in the country, the Bremer Freimarkt brings together over 50 thrilling rides, including the classic ferris wheel and a spooky ghost train. Away from the attractions, the fair offers plenty of local delicacies to delight the palate, such as klaban – Bremer’s version of the buttery stollen raisin cake – and kluten; a peppermint fondant chocolate in the shape of a domino. The week even begins with a grand opening featuring a large parade of local carnival floats and a fireworks display, which you can watch from the river banks with a Beck’s beer (a famous local brew) in hand. Spend autumn afternoons meandering through the Black Forest. 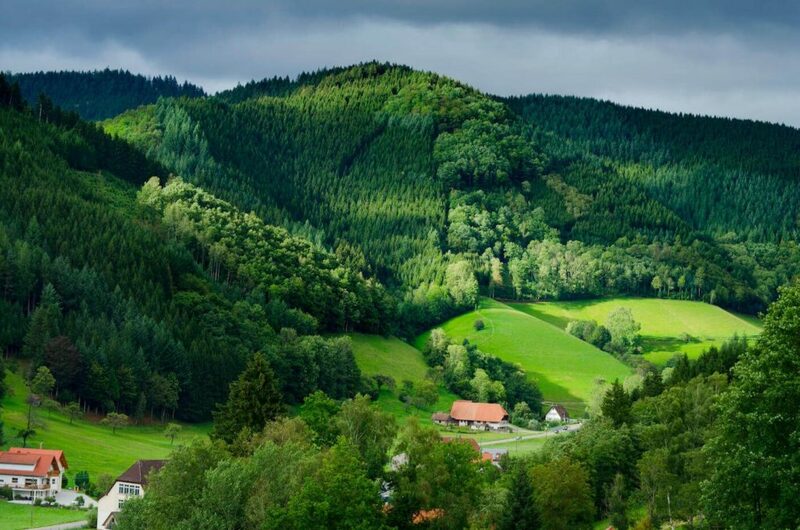 Journey towards the southwest of Germany and you’ll find yourself in Baden-Württemberg – a mountainous state bordering France and Switzerland that’s home to the evergreen Black Forest and the source of the river Danube. As the summer crowds dwindle, explore traditional thatched and medieval villages and towns, such as Schwäbisch Hall in the valley of the Kocher river. Built on fortified banks and surrounded by lush countryside, this town offers plenty of the regions iconic timber-framed houses with colourful façades that look like an illustrated page from a Brothers Grimm book of fairy tales. As well as the mountainous forested areas to the west of Baden-Württemberg, avid hikers have the Swabian Jura mountains to the east and its many moderate routes to explore, such as the stunning trail around the Uracher Wasserfall – a 37 metre-high waterfall. A half-hour drive from this nature spot brings you to another spectacular scenic vista where the 19th-century Schloss Lichenstein sits on its lofty cliff-top perch. Gaze up at the Chateau de Chambord. Only an hour south of Paris, the Loire Valley of Central France has long been a fertile region of dramatic rolling hills and vineyards, dotted with feudal castles and excessive fortresses. 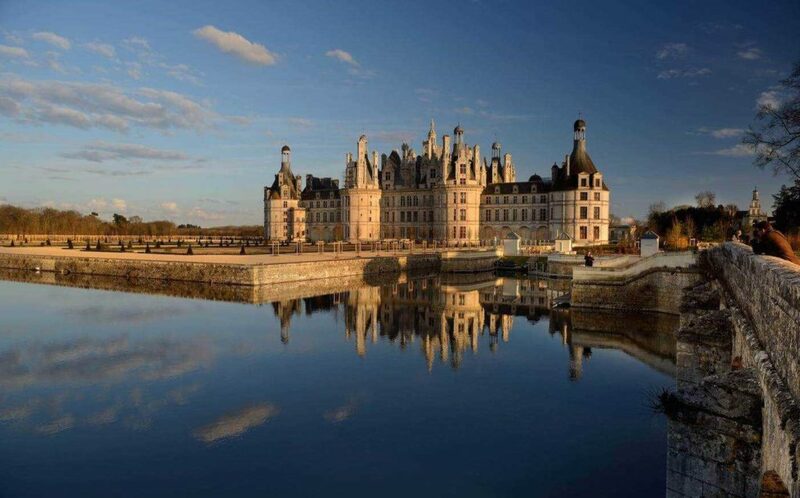 Here you can take in the towering French Renaissance spires of the opulent Château de Chambord in Loir-et-Cher; Francis I’s gigantic ​‘hunting lodge’ that took 28 years to build and was completed in 1547. Between Sully-sur-Loire and Chalonnes lies a cultural UNESCO World Heritage Site comprised of, among other attractions, the Regional Natural Park Loire-Anjou-Touraine. Stretching over 100km in width, this parkland holds stunning landscapes perfect for autumn country rambles; from the meandering Loire River with its the hedge-lined floodplains, to the untamed forests of Chinon, or the dry chalk hillsides where short grasses grow on the steppe. To the southeast, Bourges is also worth a visit for its magnificent cathedral: a Gothic masterpiece that still boasts much of its original 13th-century stained glass. Wander aimlessly through villages in the Costswolds. In the Midlands, the idyllic England of yesteryear still lives on in quaint thatched villages like Shottery in Warwickshire and Knipton in Leicestershire. 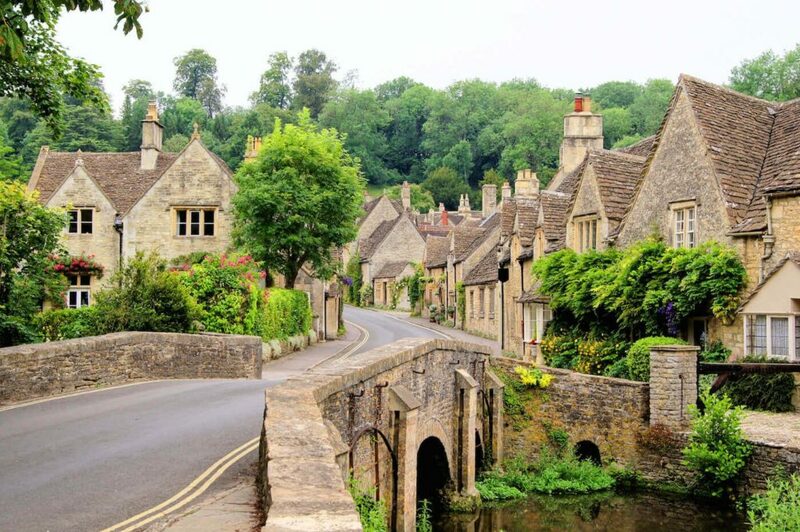 This central swathe of the U.K. is also home to the Cotswolds Area of Outstanding Natural Beauty, with its gently-rolling fields and old woodlands that turn red and gold during the autumn months. Take a walk along the River Windrush near Burford and through the picturesque twin Upper and Lower Slaughters with their old flour mill and trickling stream. To complete your day, retire to an armchair by the fire in the cosy The Black Horse Inn in Naunton. Across in the East Midlands, the city of Lincoln is not only home to a medieval cathedral and a copy of the Magna Carta, but it also offers some amazing Michelin-starred eateries, such as the Jews House Restaurant at 15 The Strait. Try their roast lamb belly, made from locally-reared livestock and served with potato terrine and zingy wood sorrel to complete a long day spent outdoors in the crisp autumn air.